Window Awnings, Huntersville, NC | G&S Contracting, Inc.
With 39 years of experience, we are the team to call when you have any questions or concerns about window awnings in Huntersville, NC. Window Awnings in Huntersville – Window awnings come with a variety of benefits. They are visually appealing and can improve the value of your home as soon as they are installed. You can find awnings in a wide variety of styles and patterns, making it easy to find the perfect option that complements your house. Windows also help trap heat, which means that uncovered windows can lead to higher cooling costs during the summer months. Many of our customers notice that when they sit on a couch or chair near a window in their home, they feel a cold draft or warm breeze that isn’t coming from the vent. When you keep your windows uncovered, you end up spending a lot more each month in utility bills because they allow air to seep through and alter the indoor temperature. 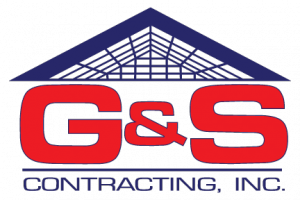 Our team at G&S Contracting is available to install and maintain window awnings in and near Huntersville, North Carolina. With 39 years of experience, we know we are the team to call when you have any questions or concerns about window awnings and related products.